CPS Camp No. 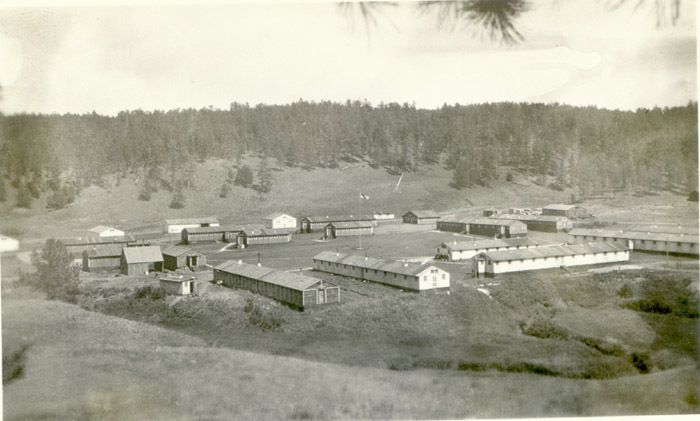 57, a Bureau of Land Reclamation base camp located northwest of Hill City, South Dakota and operated by the Mennonite Central Committee, opened in October 1942 and closed in May 1946. The men finished building Deerfield Dam, a major irrigation project. CPS Camp No. 57, Hill City, South Dakota. Six men in class. Progress and poverty class, course in Economics. 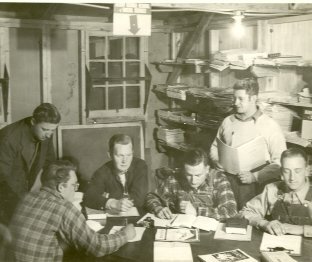 The Rushmore Reflector was a newsletter published by the men at Camp 57 from January 1943 to February 1946.